Egg donation is when the eggs of a young donor are given to a woman X who cannot conceive by her own eggs anymore, to be fertilized by the sperm of her partner in an IVF Laboratory, and then the resulted embryo or embryos will be transferred into the uterus of woman X. In case of pregnancy, it will continue developing as any normal pregnancy inside the uterus. Legally, by documents, the mother will be the woman who delivered the baby and the father is the one who gave the sperm. In other words, Egg donation is a technique where a young woman (the donor) donates some of her eggs to another woman (the recipient). Those donated eggs will be fertilized by the sperm of the recipient’s partner. As a result, we will obtain one or several embryos that will be transferred later to the uterus of the woman recipient, which has been prepared, especially her endometrium, in order to continue its or their development. Egg donation is an effective treatment for infertility caused by decreased ovarian function. This is a problem that can occur at any age but is much more common in women above 39 years old. Even women, who don’t have their menstrual cycle anymore, can get pregnant by this technique because as was proven, a woman’s uterus doesn’t age with age. Only the eggs age and diminish in quality and quantity as the woman gets older. Fortunately, for women unable to conceive using their own eggs, donor eggs offer the highest pregnancy and delivery rates of any fertility treatment and still allows a woman to carry a child. Legally, the woman who will deliver the child will be recognized as the mother. This technique is very effective and allows many women who have lost the ability in getting pregnant to fulfill their dream of carrying and having a child. Egg donation has a high success rate of more than 60% from the 1st trial when using eggs from young donors and will achieve a cumulative pregnancy success rate of about 96% after the 3rd trial depending on the skills of the doctors and cutting edge equipment in the IVF Laboratory. If a woman has genetic diseases or chromosomal abnormalities. In case of several previous unsuccessful attempts of IVF with own eggs. We offer anonymous donors: The international patients have to send a photo of the wife to match her with an appropriate donor having the same physical characteristics and the same blood group. We have a very broad database of selected young donors (18 – 27 years old), who have passed specific medical exams, gynecological exam, and blood tests for blood group, AIDS (HIV), Hepatitis, and Thalassemia, as well as medical history to exclude any genetic and hereditary problem including diabetes, hypertension, heart problems or cancer in their families as well as psychological assessment and IQ level selection. The donors are anonymous. You can only know the physical characteristics of the donors, race, age, skin color, weight, height, eye color, hair color and type, but cannot see them. The husband has to be at the clinic on the day of the pickup of the donor's eggs. This is why we have to synchronize the period of the donor with the period of the woman receiving the donor eggs. We can start preparing you and your endometrium in the country where you live. This allows you to be here for about 1 week – 10 days only. We transfer the embryos 3 - 5 days after the egg pickup from the donor and the fertilization of the donor’s eggs by your husband’s sperm. We make the embryo transfer either at day 3 or day 5 at the stage of Blastocyst (Day 5) depending on each case. You will need bed rest for 3 days after the embryo transfer. Then you can fly back. This 1st consultation will focus on studying the fertility possibilities and assessment of the couple. I will ask you a list of specific questions that will allow me to have an accurate image of your situation as well as your medical and surgical history and will advise you to do some medical tests if not done or if they are older than 1 year and will evaluate the ones you have already carried out in order to decide which will be the best medical protocol to be used in your case and which is the most suitable technique of assisted reproduction. 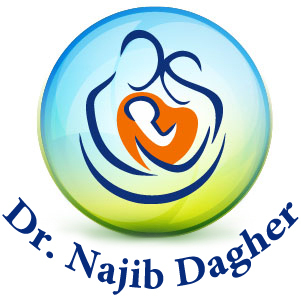 I will give you all the instructions concerning the procedure of egg donation. If any specific abnormality is detected, we will carry out further studies into it. A consent form will be signed by both husband and wife before the procedure takes place explaining to you that you accept the usage of donor eggs. Once we decide the timing of the procedure of egg donation, if the patient is still having period, we have to synchronize her menstrual cycle with that of the donor because we use fresh eggs. To do so, we might ask the patient and the donor to take contraceptive pills. Endometrial preparation of the patient who is receiving the eggs and ovary stimulation of the donor. Once the patient get her period, I might ask her to make an injection on her 1st day of the period or sometimes before, depending on the protocol to be used then she has to start Estrogen therapy (Oral and transdermal) to increase the size of the endometrium for a minimum of 10 days to prepare it for embryo implantation. We usually make a vaginal ultrasound 7 - 9 days after starting the Estrogen therapy to evaluate the lining and quality of the endometrium. Meanwhile, once the donor gets her period, we start giving her injections to stimulate her ovaries to give as much eggs as possible. W guaranty 5 mature M2 stage eggs. The mature collected eggs are injected by the fresh sperm given on the day of the egg retrieval of the donor or by the previously frozen sperm of the partner. The embryos are usually transferred between the 12th and 20th day of Estrogen therapy, depending on the variable duration of the ovarian stimulation of the donor. We will contact you to confirm when to start the Progesterone therapy while continue taking the already started medications and when will be the embryo transfer. The embryo transfer is usually done on the 3rd or 5th day of embryo development (Blasto). The 5th day is the blastocyst stage of development. Never start the Progesterone therapy until we confirm the day when to start. Meanwhile don’t stop the already started Estrogen therapy. Embryo transfer: You have to come to the procedure with a full bladder by drinking water before coming to the clinic to allow us make an ultrasound precise guided embryo transfer. Usually a 5 day embryo (Blastocyst) is transferred unless in some cases a 3rd day or 2nd day embryo transfer might be needed. The patient has to stay about 1 hour lying down at the clinic before leaving. The patient will keep lying down in bed relatively for 3 days after the embryo transfer. Then she can live her life normally. Continue with the Estrogen and Progesterone treatment at the same doses until performing the blood pregnancy test 14 days later. In case of a positive pregnancy test you have to take an appointment for an ultrasound with the doctor 7 – 10 days later to confirm an intra-uterine pregnancy. Continue the same treatment for the next 55 days.